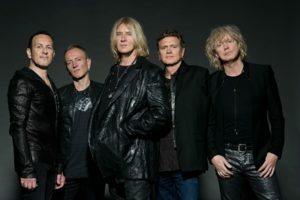 DEF LEPPARD’S NORTH AMERICAN TOUR STOPS AT MGM GRAND: Def Leppard will return to touring for three months tour across North America with a stop at the MGM Grand Garden Arena Saturday, June 17. They will be joined by Poison and Tesla. In conjunction with their North American tour announcement, Def Leppard is also premiering the live video for “Animal” via Brave Words. 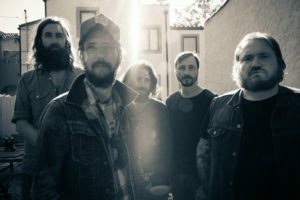 The live video clip is from the band’s concert film, “And There Will Be A Next Time – Live From Detroit” released on Feb. 10. For Poison, the tour marks the first time in more than five years they will be touring with all original members…Bret Michaels, CC DeVille, Bobby Dall and Rikki Rockett. Poison has sold more than 40 million records. STEELY DAN SET FOR NINE-SHOW RESIDENCY AT THE VENETIAN: Steely Dan has announced a nine-night residency of their “Reelin’ In The Chips” show at the Opaline Theatre at The Venetian® April 12-29. Ticket prices range from $69 – $225. Note the Opaline Theatre was formerly the Rock of Ages Theatre and it’s located across from the Sands Showroom in Restaurant Row. For the past several years, West Coast fans haven’t been geographically privy to catching the band’s multi-night residencies. 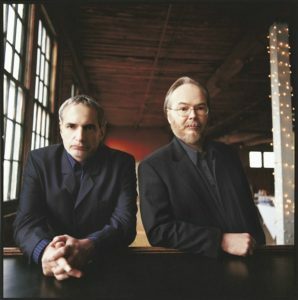 Led by Donald Fagen and Walter Becker since 1972, Steely Dan has sold more than 40 million albums worldwide and helped define the soundtrack of the ‘70s with seven platinum albums issued between 1972 and 1980. Steely Dan reunited in the early ‘90s, launching a string of sold-out tours that continue through today. Steely Dan was inducted into the Rock and Roll Hall of Fame in 2001. ELVIS GETS A STREET NAMED AFTER HIM: At last Elvis has a street in the Las Vegas Valley named after him albeit a short one just four-tenths of a mile. Clark County replaced Riviera Boulevard signs with Elvis Presley Boulevard after a request by the Westgate where The King was best known for performing when the resort was formerly the International. Presley would have turned 82 on Jan. 8, and his popularity hasn’t waned. A video of the street signs being installed posted to the county’s Facebook page has become the county’s most popular, reaching almost 1.5 million people.Elvis Presley Boulevard serves as a key access point for the new Diamond Lot, a parking and outdoor exhibition space for the Las Vegas Convention Center’s extension on the former site of the Riviera. The old Riviera Boulevard signs are supposed to be on display at the Clark County Museum this spring. 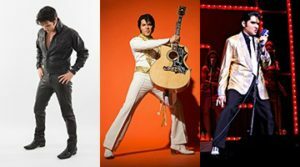 THREE TRIBUTE ARTISTS SHOWCASE ELVIS AT THE ORLEANS: At The Orleans Showroom “One Night with The King” will deliver three decades of Elvis Presley’s career with spot-on tributes by three artists – Victor Trevino, Jr., Ben Thompson, and Ted Torres – Jan. 28-29. Tickets start at $19.95. Trevino’s credits include: a major role in the 2010 Ultimate Elvis Tribute Artist Tour, produced by Elvis Presley Enterprises and Graceland; taking first place in Europe’s Tribute to Elvis Championship in 2013; and winning the 2016 “Images of the King” world championship. ROSE IS A NEW PERSONALITY AT THE COSMOPOLITAN: The Cosmopolitan has launched Rose, a personable and informative Chatbot, which is artificial intelligence you can correspond with via text message. Chatbots began appearing in 2015 in hotels and interacting with guests before, during and after their stay. What is distinguishing Rose, who can do a concierge’s job, from other Chatbots is her sassy attitude and playful repartee. BINGO MAY BE ON THE UPSWING: Stations Casinos is giving bingo a comeback with a state-of-the art, 432-seat Bingo Room at Santa Fe Station with separate enclosed smoking area, private restrooms, full bar with select pastries, 30 screens, state of the art sound and lighting system, and specialty sessions like X-treme Bingo and Ladies’ Night. The company is in the process of building a new bingo room at Palace Station, which was once called Bingo Palace. That project should be completed in the second quarter of this year. RICH LITTLE’S SHOW EXTENDED AT THE LAUGH FACTORY: Legendary comedian and impersonator Rich Little’s show at the Laugh Factory inside the Tropicana is being extended again with him performing five nights per week through June. 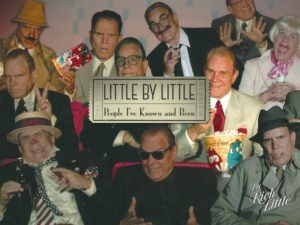 “Rich Little Live!” is an autobiographical show highlighting impersonations, sketches and interactive video from his long and illustrious career. Most recently, his book “Little By Little: People I’ve Known and Been” was released. Tickets for his 7 p.m. shows are $39.95 to $59.95. MORE CHINESE NEW YEAR’S CELEBRATIONS ARE PLANNED: Other columns this month mentioned venues honoring the Chinese New Year and the Year of the Rooster. Forbes Magazine named Las Vegas as one of the “8 Great Places to Celebrate Chinese New Year” in the United States and Canada. Las Vegas’ new Lucky Dragon will celebrate with an opening Chinese lion dance on Saturday, Jan.28 along with casino giveaways and a prix-fixe dim sum menu Jan. 28-Feb. 5. The sixth annual Chinese New Year in the Desert™ celebration will be Jan.27-29 with participating venues: Fashion Show Mall, Downtown Container Park and the LINQ Theater. 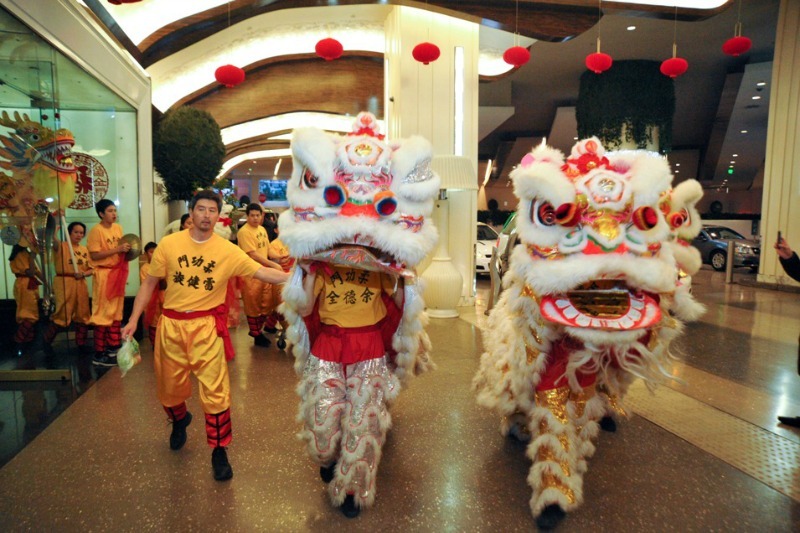 The event kicks off Jan. 27 at Fashion Show Mall in The Great Hall with a dragon dance and eye painting ceremony and celebrations continue Jan. 28 with the Las Vegas Spring Festival Parade Downtown, followed by an after-party at the downtown Container Park. Events culminate with the DragonFest Benefit Concert Jan. 29 at The LINQ Theater. The Cosmopolitan will host the ‘Dotting of the Eyes’ ceremony Jan. 30, and The LINQ Promenade will offer Chinese dance performances 27-30. Lion and dragon dances are an important ritual of Chinese culture, symbolizing good luck and prosperity. Traditional dances planned include: on Jan. 28 at ARIA, The Palazzo and The Venetian; Jan. 29 at MGM Grand and the Palms Resort; and Jan. 30 at the Bellagio and Palace Station. Special Chinese New Year concerts include Sam Hui Jan. 28, and the Venetian and Chinese pop-rock group Band of Brothers Jan. 29 at the Monte Carlo. A Chinese New Year Celebration and Asian Food Festival will take place on Feb. 12 at the Las Vegas Chinatown Plaza from 10 a.m. to 5 p.m. and feature performances, dances, cultural activities and vendors. Madame Tussauds inside the Grand Canal Shoppes at The Venetian will display one of Hong Kong’s movie icons, Jackie Chan. Sundance Helicopters will have Chinese lanterns, tangerine trees and festive decorations. On Jan. 28, its Grand Canyon West terminal will feature Chinese lion dancers and drummers performing with the Grand Canyon as a backdrop. FRANKIE MORENO WILL SERENADE AT THE SUNCOAST: Popular crooner Frankie Moreno will visit the Suncoast Showroom on Saturday, Feb. 4 at 8:30 p.m. Tickets start at $19.95. Moreno was a headlining mainstay at the Stratosphere for years. He’s been touring and had a show on the Strip last year. Most recently, he began working on new music in collaboration with producer, engineer and guitarist Pat Thrall, who has worked with pop artists like Katy Perry, Christina Aguilera and Justin Bieber. Moreno at age 10 competed on the old “Star Search” as a child prodigy playing the piano and singing. He has headlined sold out concerts at New York’s Carnegie Hall, The Kennedy Center and the Hollywood Bowl. In addition, Moreno has toured regularly with Billy Currington, Sugarland and Air Supply. He was nominated for an Emmy Award thanks to his 2014 TV special, “Songs at Home. ENTERTAINMENT HIGHLIGHTS: Willie Nelson begins headlining a five-show limited engagement at The Venetian Theatre featuring an exclusive set list from his six-decade spanning career Jan. 28-29, Feb. 1, 3 and 4 at 8 p.m. Diana Ross returns to The Venetian Theatre for a nine-show limited engagement Feb. 8, 10-11, 14, 17-18, 22 and 24 at 8 p.m. Multi-platinum selling and Grammy Award-nominated artist, Ariana Grande will bring her – The Dangerous Woman Tour – to the MGM Grand Garden Arena on Feb. 4. Tickets start at $29.95. Sam Hui, a Hong Kong musician, singer, songwriter and actor credited with popularizing Cantopop by infusing Western-style music and using street Cantonese jargon in his lyrics, will headline The Venetian Ballroom at the Congress Center Jan. 28 at 8 p.m. Felix Cavalier’s Rascals will bring the sounds of the “blue-eyed soul” group from the ‘60s The Rascals to the Golden Nugget, Friday. Jan. 27. The Rascals disbanded in 1972 and Cavalier’s solo career thrived. A new show just opened at the Royal Resort on Convention Center Drive called “Rainbow Cabaret – A Tribute to Judy Garland and Liza Minnelli.” It’s starring show business veterans Denise Rose as Garland and Suzanne Goulet as Minnelli. Shows are in The Majestik Theatre at 7:30 p.m. on Wednesdays and 4 p.m. on Sundays. 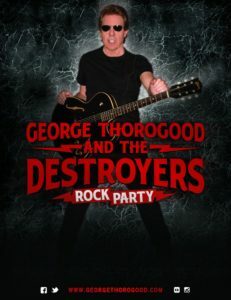 Tickets are $20, call 702-334-1864. 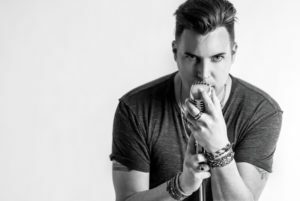 A CD release party for singer/songwriter Chadwick Johnson’s new album “Chadwick Johnson – Live in Las Vegas” will be held at the Hard Rock Live at the Hard Rock Café on the Strip Wednesday, Feb. 1 at 8 p.m. with special guests Jonathan Karrant and Zowie Bowie. Tickets range from $25 to VIP for $35 and $50 with a portion of the proceeds being donated to Keep Memory Alive; call 702-650-8590. LAX Nightclub inside the Luxor has West Coast rap pioneer Too Short appearing on Jan. 26 and Miami’s provocative hip-hop duo 2 Live Crew on Feb. 9 as part of the venue’s Throwback Thursday series. Too Short collaborated with both Tupac and The Notorious B.I.G. during the heights of their careers and most recently worked with notable Jay Z, Chris Brown, and Lady Gaga. He has an album coming out March 10. THE MOB MUSEUM CELEBRATES FIFTH ANNIVERSARY WITH EVENTS: The Mob Museum downtown will mark the occasion of its Fifth Anniversary with a series of celebratory public events planned Friday through Tuesday, Feb. 10-14. Also each day, the first 10 Museum guests will receive a commemorative chocolate package from Ethel M Chocolates. One out of the 10 will contain a special “golden ticket” redeemable for a grand prize. On Friday at 10 a.m. the museum will unveil a collection of St. Valentine’s Day Massacre artifacts that will go on permanent display. From 11 a.m.-2 p.m., there will be a United Blood Services Blood Drive. On Saturday, there will be two presentations at 11 a.m.-noon and 1-2 p.m. by author Chriss Lyon who wrote “A Killing in Al Capone’s Playground: The True Story of the Hunt for the Most Dangerous Man Alive” about gangster Fred “Killer” Burke. 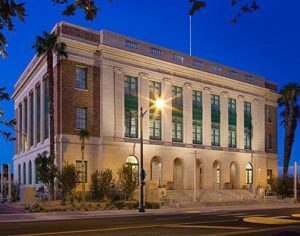 From 1-2 p.m. on Sunday, there will be a Panel Discussion: History of The Mob Museum Building featuring panelists including Robert Chattel, founder, Chattel, Inc., the historic preservation consulting firm which advised on the restoration of the historic federal building and post office occupied by the Museum. Monday from 7 – 9 p.m. will be the screening of the film “Capone.” All day Tuesday from 9 a.m.-9 p.m. will be free admission for Nevada residents and buy-one, get-one admission for non-locals. There will be two St. Valentine’s Day Massacre Evidence Presentations 11 a.m.-noon and 1-2 p.m. Chriss Lyon will do book signings again from noon-12:30 and 2-2:30 p.m. From noon–8 p.m. there will be a celebration at The Commissary at Downtown Grand across the street. During the five years, the museum greeted more than 1.3 million visitors from all 50 states and 36 countries. MORE NEWS CLIPS: Thursday, April 27 is set for the Keep Memory Alive’s (KMA) 21st annual Power of Love® super star-studded gala at the MGM Grand Garden Arena with philanthropist Ronald O. Perelman, chairman and chief executive officer of MacAndrews & Forbes Incorporated as the honoree. In addition, KMA’s Community Achievement Award will recognize professional tennis superstar and Las Vegas local, Andre Agassi. Winterfest Beer & Music Festival will take place at The Draft House at 4543 N. Rancho Drive on Saturday, Jan. 28 from 3-9 p.m. While admission is free, there is a cost to partake of the food and beverages using a token system, which can be done in advance or at the event. To learn more, visit www.bigdogswinterfest.com. Alizé at the Top of Palms has a new executive chef, Chris Bulen. Prior to joining Alizé, Bulen was executive chef at Andre’s Restaurant & Lounge at Monte Carlo. This month on Sundays, The Palm Restaurant inside The Forum Shops at Caesars is hosting a traditional Sunday Supper with classic steakhouse combinations featuring a few of The Palm’s most popular dishes for $49. In observance of National Pizza Day on Thursday, Feb. 9, guests who dine at Pizza Forte at Sunset Station or Hard Rock Hotel & Casino will have two opportunities to receive a free slice of cheese pizza. One is when you purchase to mention “Happy Pizza Day.” The other is to wear a shirt with a picture or graphic of pizza. NAKED CITY PIZZA SIGNS DEAL WITH LAS VEGAS MOTOR SPEEDWAY: Las Vegas Motor Speedway (LVMS) has signed a deal making Las Vegas-based Naked City Pizza its official pizza for the track where it debuted during the Duel in the Desert last November. 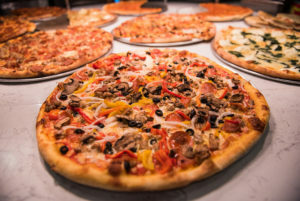 Naked City Pizza, which has been featured on Food Network’s popular hit show “Diners, Drive-Ins and Dives,” is owned and operated by brothers Chris and Michael Palmeri using their grandmother’s recipe and roots in Buffalo, N.Y. The business was launched in 2009 as a tiny hot dog cart in Las Vegas landmark Dino’s parking lot, grew into a sandwich shop and eventually became Naked City Pizza inside Moon Doggie’s Bar near Interstate 15 off Desert Inn Road. Next the Palmeris launched a Naked City Pizza location on Paradise Road and Naked City Tavern on South Pecos Road. Most recently, the brothers opened Naked City Pizza Express inside the Blue Diamond Saloon off Blue Diamond. In addition to pizza, their menu includes submarine sandwiches, chicken wings, salads, fries and appetizers.